Redeveloped WCAG AA accessible website for the not-for-profit employment services provider empowering job seekers and employers. A clean and modern website was required to be created in adherence to guidelines governing interface and functionality. WCAG Level AA compliance was a web design priority intended to ensure the accessibility of the site to those with sensory disabilities. WCAG AA compliance presented more challenging design considerations, as specific standards for font sizes and styles, colours, and pictures used had to be adhered to whilst preserving the desired branding. WCAG compliance also includes requirements for screen reader assistive technology, speaking out all content to visually impaired users. Logical navigation mechanisms and a clear user interface were implemented to enhance the overall UX. A large volume of content migration was required. During this process, content was revisited and optimised for readability. 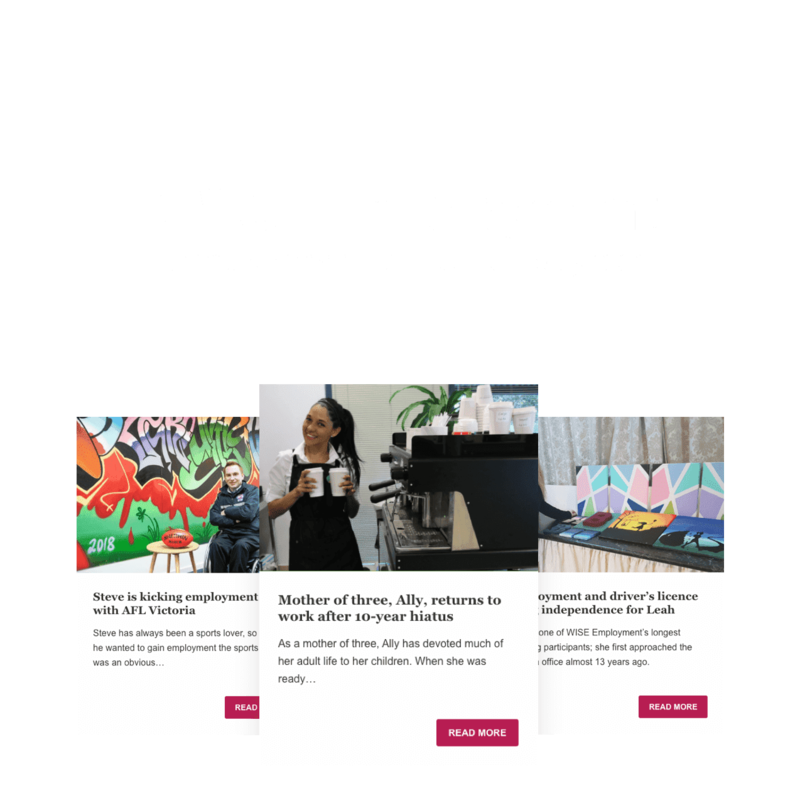 The improved site map and incorporation of a new and improved user interface scaled the size of the project considerably and involved extensive communication with the WISE Employment team. The WISE Employment website is a critical touch point and vehicle for core activities. It was of utmost importance that the site reflect the professional and accessible services offered. 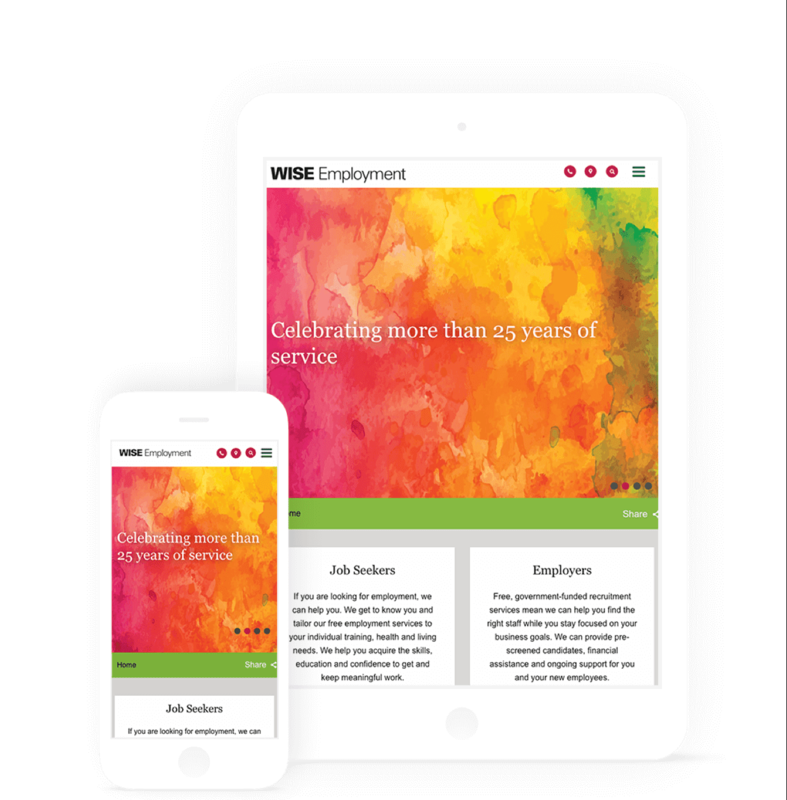 The contemporary look and feel of the refreshed website is in line with new WISE Employment branding. Bold and modern website elements, including the incorporation of a new logo, enhance the visual appeal and ease of navigation. The clean layout features appropriate images used to segment the page and draw attention to calls to action. A clear site map simplifies the search for information as well as the process of registering as a job seeker or lodging a job vacancy. Updated application forms streamline the key conversion points of registering as a job seeker, lodging a job, and making a donation. Registration forms are linked to in relevant, eye catching positions throughout the website. This works to increase the accessibility of the forms hence increasing traffic and conversions. Questionnaires are now also utilised to qualify users eligible for services before contacting WISE Employment. This reduces the volume of fruitless applications thus improving the efficiency of the customer support team. A key component of the custom website development project was the improvement of the Find an Office search capabilities and interface. Offices are now able to be filtered by state or by the user input of a postcode. An appealing visual layout of search results facilitates a streamlined search process with clearly displayed contact details encouraging conversions. The newly developed website is mobile responsive, enabling the engagement of users across all platforms. This is a considerable advancement of the website as over half of all search queries globally now come from mobile devices. 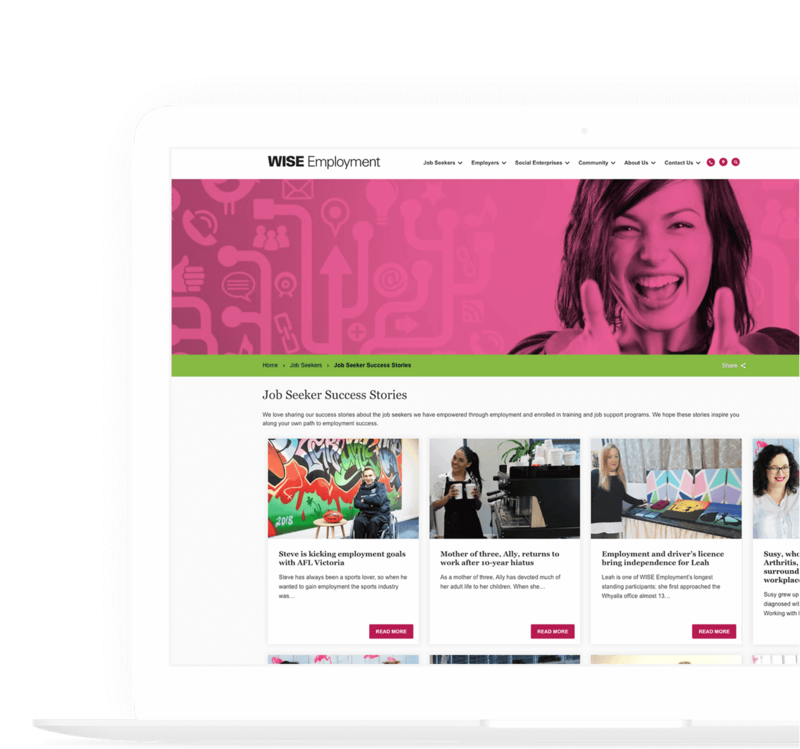 The WISE Employment website was built with our own custom CMS, Consul™ specifically designed for business enterprise deployments. The platform utilises WordPress, providing WISE Employment with all the benefits of its acclaimed user centric features such as its ease-of-use content management including simple and flexible editing and customisation. In addition to these, Consul™ provides a new robust system architecture to WordPress that can be customised and scaled to deliver functionality, style and enhanced user experience for advanced business application purposes. Overall traffic and goal completions more than doubled in the month since launching the new website. This can be attributed to the introduced mobile responsiveness of the website as well as clearer navigation pathways. The refreshed web design now better reflects the quality of service with an improved user experience. The site is now accessible to those with sensory disabilities in line with WCAG AA standards.